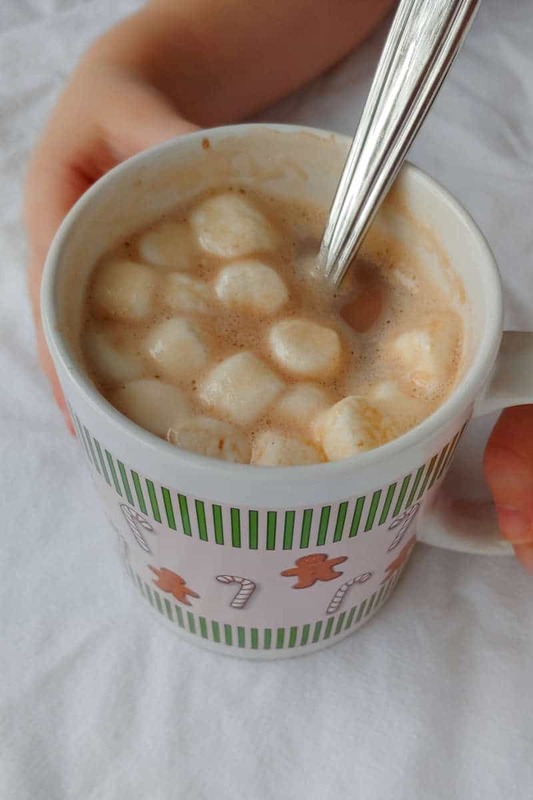 I love homemade hot chocolate, made with milk or rich cream, but sometimes it’s cold and you want something a little easier and kid-friendly (and lighter). When I do, I turn to this Hot Cocoa Mix recipe that I adapted from Alton Brown’s. What do I love about it? You can make it as sweet or not sweet as you want it. 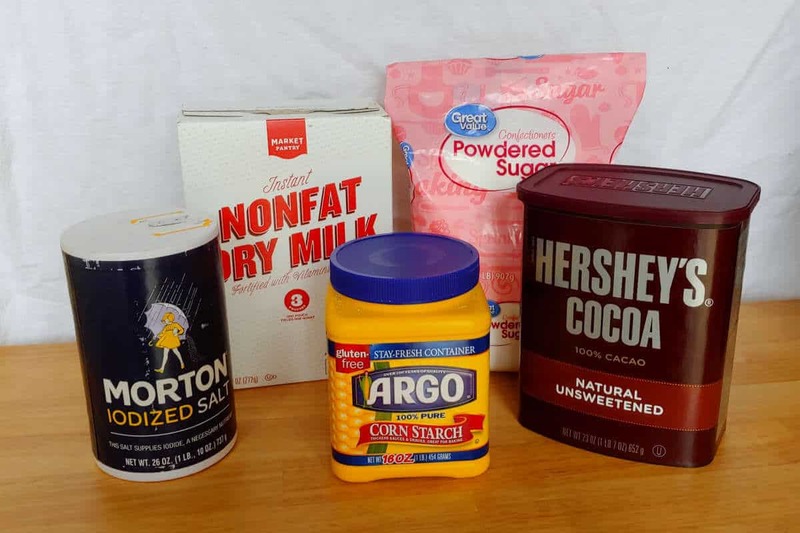 It has only real ingredients – cocoa powder, powdered sugar, salt, cornstarch, and powdered milk. That’s right! No weird additives like corn syrup solids, no powdered non-dairy creamer, no chemical additives. 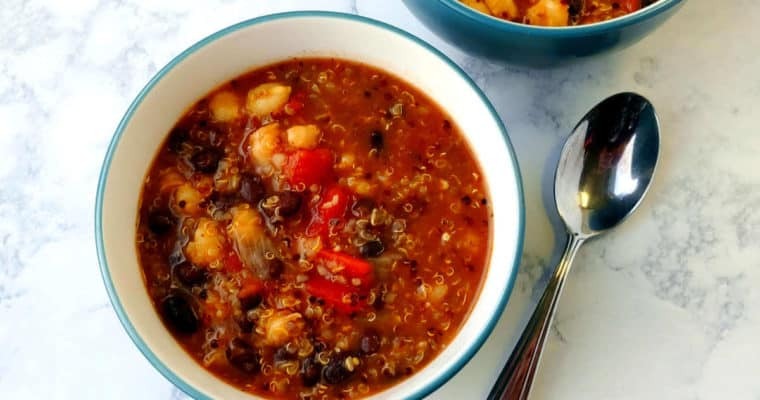 I first wrote about this recipe 7 years ago, and I’ve made this recipe for at least 10 years now. In general, it’s a dark hot chocolate flavor – packets of hot cocoa from the grocery store are way too sweet for me now! 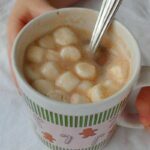 I made a lot of hot cocoa in 2010 and 2011, but I kept returning to this recipe. Originally based on Alton Brown’s Hot Cocoa Mix recipe with a few adjustments, it’s the standard by which I judged all other recipes. Powdered sugar is used in this, instead of granulated sugar. 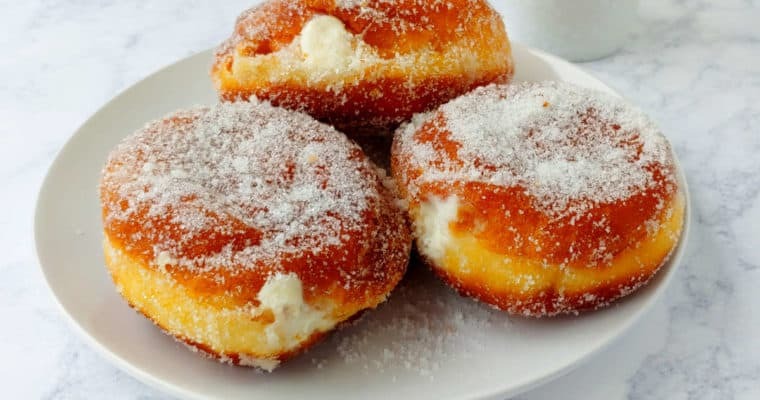 You can use granulated sugar, but powdered sugar has 2 advantages: it’s more finely ground than sugar so it dissolves better, but it also has cornstarch, which is a thickener. There’s also cornstarch in this mix. It’s not a lot, and you can skip it in a pinch, but I encourage you not to. Thickening the hot cocoa improves the mouthfeel and provides a bit of creaminess in the hot liquid. 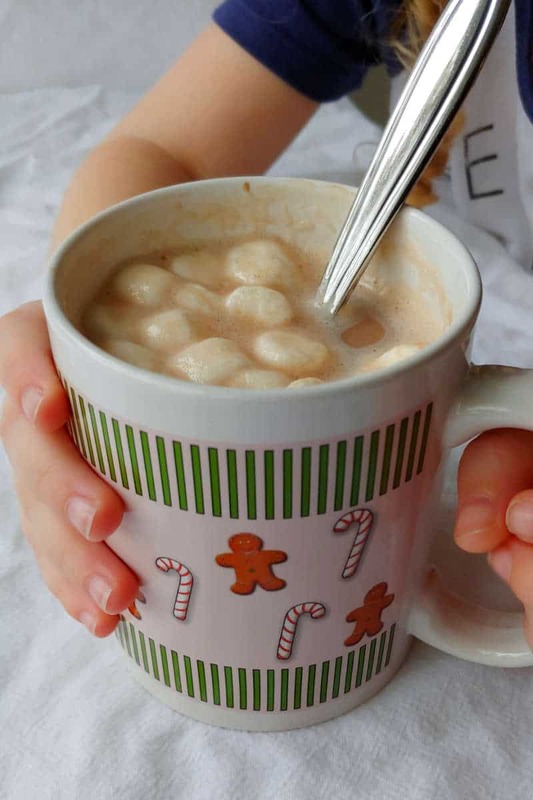 It takes a couple of minutes, while the hot cocoa cools, for this to develop. I doubled the quantity of cornstarch from the original, but use 1/2 teaspoon if it feels like too much. 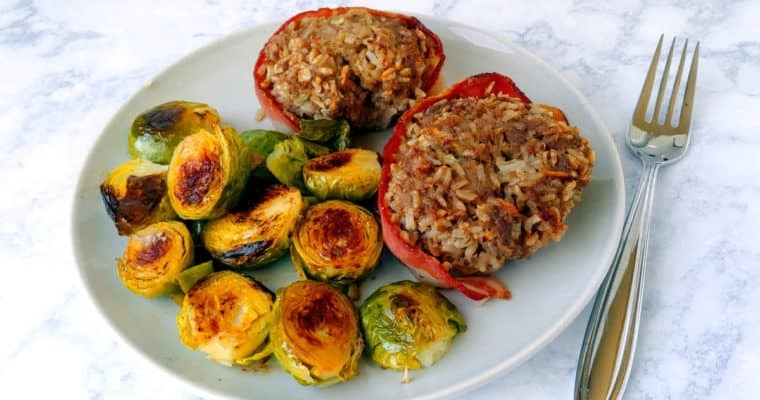 Alton Brown originally included a pinch of cayenne, for a touch of heat and warmth. I found it to be overwhelming, so I skipped it. Feel free to add it back if that’s your kind of thing. 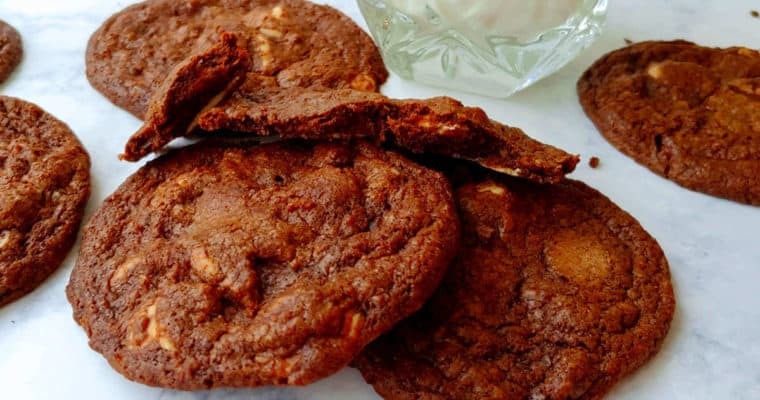 Unsweetened cocoa powder is used in this recipe instead of chocolate. 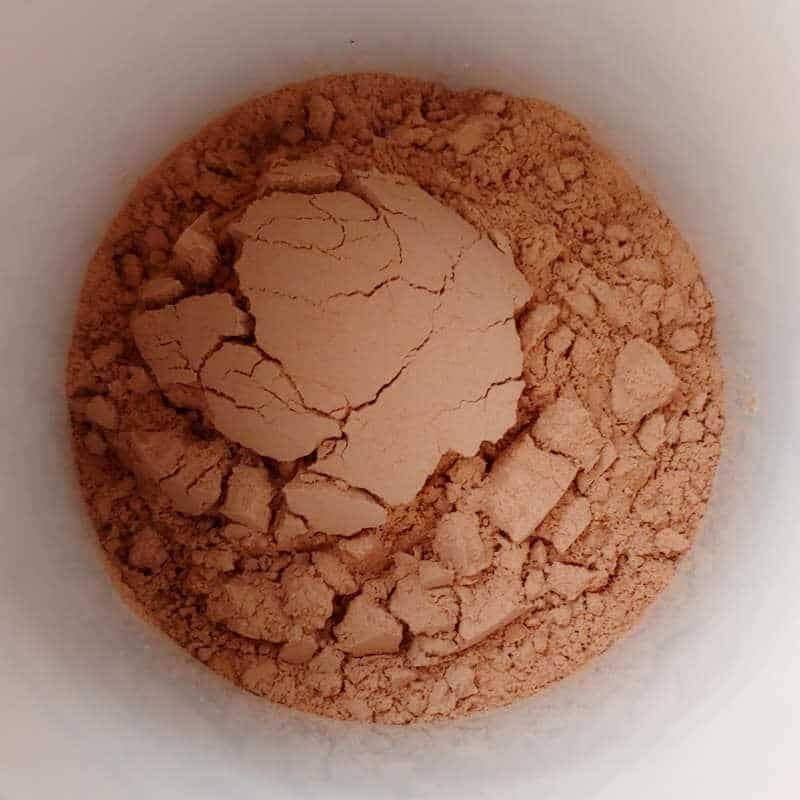 Cocoa powder, especially after being ground together with the rest of the ingredients, dissolves better than chocolate in hot water. Chocolate, by and large, requires cooking to melt. Chocolate would add a more velvety texture; indeed, when I’ve added a few chocolate chips to the cocoa, they’ve melted a little and given the hot cocoa a little extra body. So you can add a few if you’d like. It doesn’t matter much what kind of cocoa powder you use. I’ve used Saco cocoa powder (affiliate link) (a Dutch/regular blend that is often not too expensive at the grocery store) back when I bought a case of it when it was cheaper (and ended up with 23 canisters after my Amazon delivery was a little busted up), and Hershey’s cocoa powder (affiliate link), and Trader Joe’s brand. Use whatever you like enough to bake with. The main player here is powdered milk (affiliate link), rather than non-dairy creamer. Alton calls for whole milk dry milk, but honestly, you can’t find that in a regular grocery store, so I’ve always used the non-fat version. Why Use Powdered Milk Instead of Creamer? 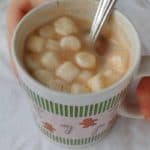 One of the reasons I love this recipe is that it uses powdered milk (affiliate link) instead of non-dairy powdered creamer. I have a very strong dislike of powdered creamer. I like that powdered milk (affiliate link) is a little more natural than creamer. There’s few ingredients, and only additives to make the milk shelf-stable. Probably more importantly – I hate the taste of powdered creamer. It tastes off. I refuse to drink it in my coffee. I’ll drink liquid creamers sometimes, but I would rather gulp down crappy coffee black than add powdered creamer to it. The powdered creamer makes it worse. Another reason to hate powdered creamer? Corn syrup solids. I’m not a corn syrup phobe – I use it in pecan pie, peanut brittle, and marshmallows – but it’s a sugar trying to act like a fat or a protein. We don’t need that. Most people, myself included, get plenty of sugar already, and we need fat and protein. This adaptation of Alton Brown’s Hot Cocoa Mix makes only about 7 mugs of cocoa. It’s just the perfect amount to grind together in a bullet blender (affiliate link). It takes less than 5 minutes to assemble. 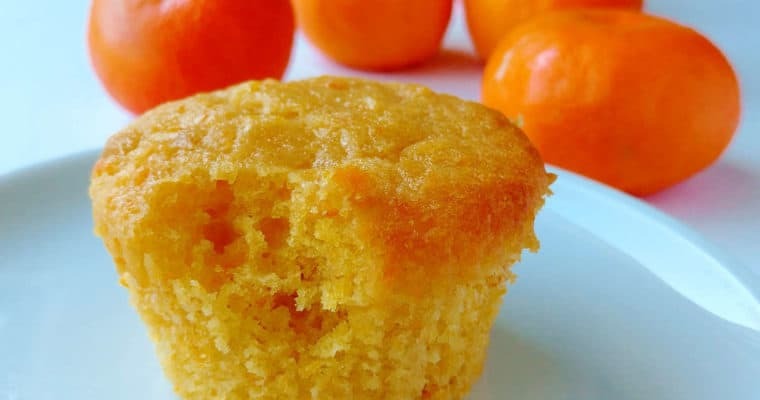 Just combine powdered milk (affiliate link), powdered sugar, unsweetened cocoa powder, salt, and cornstarch in your bullet blender (affiliate link) or food processor. Process until well ground; with a Magic Bullet, you’ll want to give it a few shakes as you grind it. You can stir the mix together with a wooden spoon, or put it in a container and shake it together, but honestly, the mix will dissolve better in the water if you grind it together. Storing the hot cocoa mix into a mason jar, or an old cocoa powder container. (Hershey’s cocoa powder (affiliate link) containers are dishwasher safe, so I keep them for just this kind of thing.) If giving it as a gift, be sure to label it. To make cocoa, put 3 tablespoons of ground mix in a mug. Add 8 ounces (1 cup) of boiling water. The boiling water is important because it helps dissolve the powdered milk (affiliate link), which is hard to dissolve otherwise (although grind the mix together helps). Mix well. This cocoa thickens up a little after a minute or two, but it isn’t thick. It will become thicker toward the bottom as it cools, so be sure to stir occasionally as you drink it. If the flavor is too dark for you, you can add a few (or a lot of) marshmallows to lighten it up. You could also add a little more sugar to your mug, or to the mix. Even better: you can add a few chocolate chips to your mug when you add the cocoa mix to give the cocoa a richer, more velvety texture. Trust me, though – it’s delicious without all those little additions too. Want milk in it? Well, you can add a little bit to cool it off. But honestly, if you’re wanting to make hot cocoa with liquid milk from the fridge, try a hot chocolate mix instead, like Decadent Hot Chocolate Mix (for a richer version) or Monster Hot Chocolate Mix (for a sweeter version). How Long Does Hot Cocoa Mix Last? If you don’t drink all of your hot cocoa mix, its shelf life is the same as your ingredients. The most limiting factor will be your powdered milk (affiliate link), which should have a shelf life of a year or two. 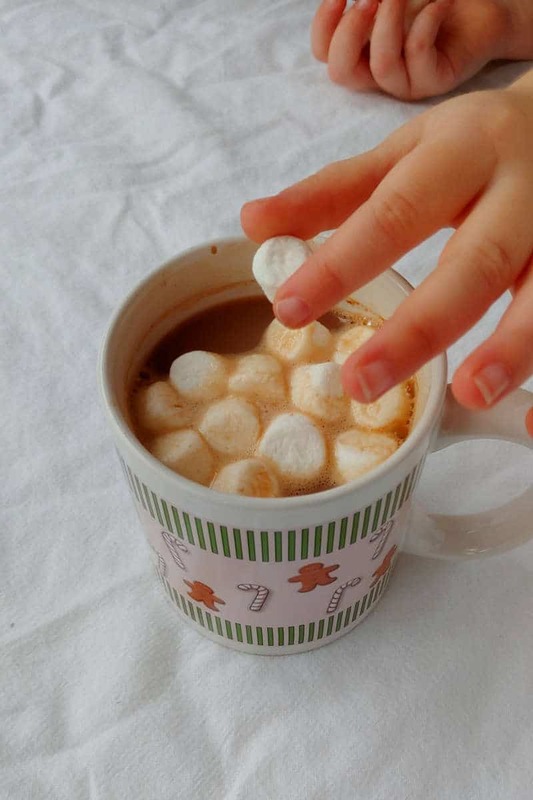 This not-too-sweet hot cocoa mix takes just 5 ingredients (no creamer!) to make and 5 minutes to mix together! Just add boiling water. Blend mixture together. Store with vanilla bean if desired. Scoop 3 tablespoons mix (25 grams) into a mug. Stir in 8 ounces/227 grams/1 cup of boiling water. Stir to dissolve. Let thicken slightly for about a minute before drinking. This takes no non-dairy creamer! I always use non-fat instant milk; you can search for whole milk instant milk online. This can be made with artificial sweetener, like sucralose. Follow substitution instructions on the box of sweetener. To combine sugar-free mix with water, start with 2 tablespoons of mix per 8 ounces hot water, and adjust from there. This is a small batch version, the perfect amount to make with a bullet blender. Feel free to double or triple it and make it in a food processor. For a variation, try adding 1/4 teaspoon ground cinnamon, or vanilla, almond, or peppermint extract to your mix before grinding together. For a hot chocolate that you mix with hot milk, try Decadent Hot Chocolate Mix or sweeter Hot Chocolate Mix.